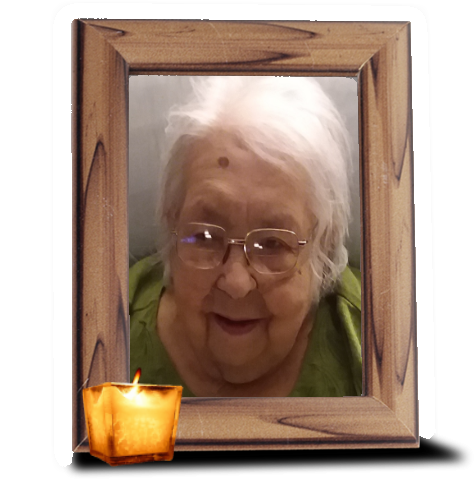 Obituary for Dorothy E. (Bell) Spindler | Wiesner & Massart, Inc.
Dorothy (Bell) Spindler, passed away on March 19 in Kewaunee at the golden age of 90. She was a generous and loving mother, friend to many and lived her life to the fullest. Whether it was beating her friends in card games or the penny slot machines at Oneida; crocheting intricate cotton doilies or warm slippers for the needy; or giving her kids a soft shoulder to cry on, she did it with passion. And, her off-color jokes were legendary. Dorothy was preceded in death by her husbands, Captain Jim Bell of Algoma and Jerry Spindler, Florida. She will be missed by her children; Jack & Rhonda Bell (Beach Park, IL), Linda White (Yucatan, Mexico), Aina Henegar (Sheboygan), Jim & Patty Bell, (Kenosha), Bob Bell and special friend Brenda (De Pere) and Bill & Vicky Garrett (Algoma). Her special friends, Nancy and Wayne Paplham of Kewaunee and her eleven grandkids will miss her, too. Wiesner & Massart Funeral Home – Casco is assisting the family. Online condolence messages may be shared at www.wiesnermassart.com. Wish Dorothy good sailing as her ashes join her two husband's in the beautiful waters of Lake Michigan.